The inspection of the welded seams is a decisive criterion for pipeline maintenance. To do this an inspection station is employed which checks the external welded seams. The inspection must take place with the utmost accuracy and reliability under extreme climatic conditions. To automate the inspection process of welded seams, it is necessary to position the inspection equipment exactly above the seam and totrackitduring monitoring. To achieve this, first the sensor is manually aligned to the welded seam of the respective pipe to be tested. When the signal corresponds to the specified requirements (position/angle), an OK signal is output from the controller. 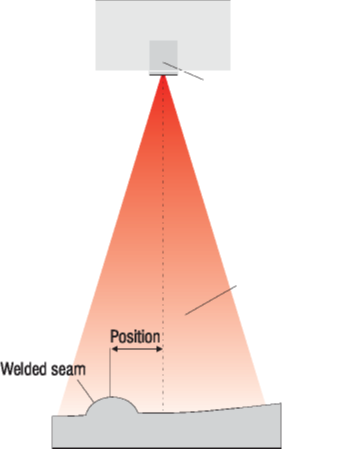 The deviation of the welded seam position from the ideal central position is passed as an analog signal to the controller. This in turn then implements the correction of the inspection unit. 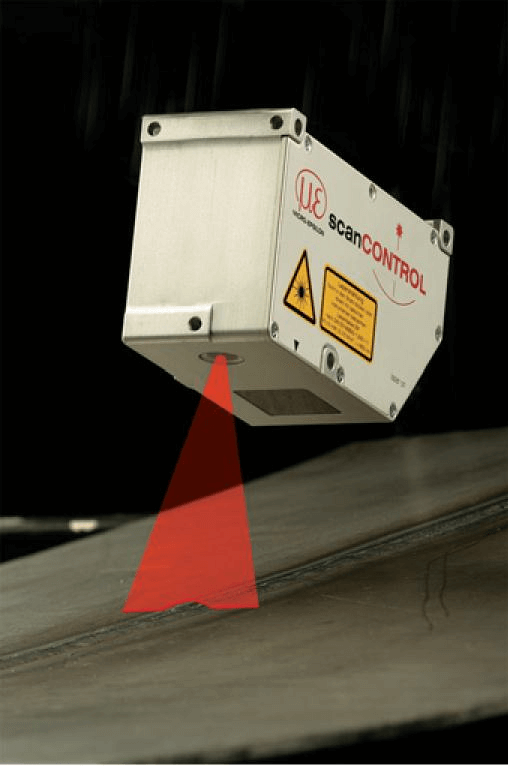 With changes to the surface – for example due to wetness, dirt or corrosion – the exposure time of the sensor is automatically adjusted to the changed ambientconditions.